Nick Bilton's Twitter book: Jack Dorsey was rejected for shoe store job. 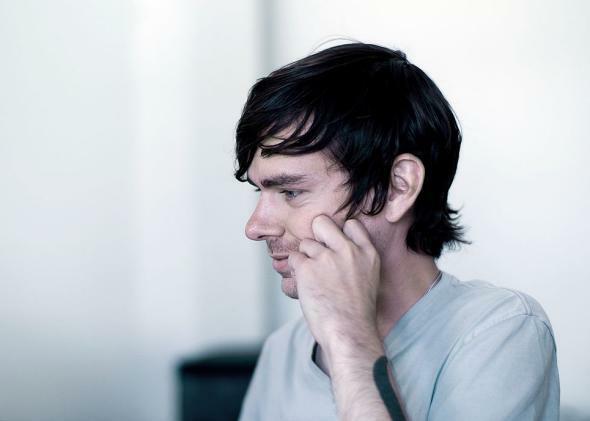 Before He Built Twitter, Jack Dorsey Applied for a Job at a Shoe Store. He Got Rejected. The New York Times today has an excerpt from tech reporter Nick Bilton’s forthcoming book about the early days of Twitter. Those in search of juicy anecdotes and a Zuckerbergian antihero figure in the Twitter origin myth will not be disappointed. I won’t keep you in suspense: It’s Jack Dorsey. In the course of Bilton’s excerpt, Dorsey goes from a shiftless NYU dropout with a nose ring to a backstabbing climber to a disastrous manager to being forced out of Twitter and considering a job at rival Facebook to … well, just read the thing. … was a 29-year-old New York University dropout who sometimes wore a T-shirt with his phone number on the front and a nose ring. After a three-month stint writing code for an Alcatraz boat-tour outfit, he was living in a tiny San Francisco apartment. He had recently been turned down for a job at Camper, the shoe store. Then Evan Williams, the Blogger co-founder and then-CEO of Odeo, the startup that would become Twitter, walked into the coffee shop where Dorsey was blaring punk rock on his laptop headphones. Dorsey, who was shy after battling a speech impediment as a child, was reluctant to introduce himself personally. Instead, he opened his résumé on his computer, deleted any signs of his desire to work for Camper shoes, found Williams’s e-mail address online and sent a message to see if Odeo was hiring. Williams, whose investment in Odeo had turned him into the company’s C.E.O., soon called him in for an interview. He and [co-founder Noah] Glass, both college dropouts themselves, preferred rabble-rousers to Stanford grad students and Dorsey, with his nose ring and disheveled hair, seemed like a perfect fit. Good thing he didn’t get that gig at Camper shoes.